President, R E Heakins Expert Services, Inc. Started working for PaineWebber in 1981 and worked for them until August 2000. During my tenure their I held the following security licenses (3,5,7,8,63,65 & PA life/ accident & health). During my years there I held the position of insurance coordinator, tax advantage coordinator and branch manager the last 3 years. 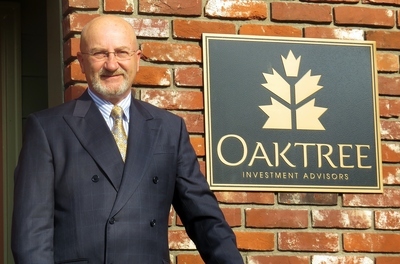 Since August 2000 I have owned Oakmont Investment Advisors Inc. now d/b/a OakTree Investment Advisors. OakTree is an RIA firm currently state resgistered in PA. At OakTree we manage money on a discretionary basis using mostly individual equities and individual bonds. I currently hold the designations Accredited Investment Fiduciary Analyst (AIFA) issued from the Institute of Fiduciary Studies through the Katz School of Business University of Pittsburgh and Certified Regulatory Compliance Professional (CRCP) issued from FINRA through Wharton at University of Pennsylvania. In 2005 I completed the Wharton Private Wealth Management Professional Track. I completed the CBOE Institutional Investors Options Course in 2002. I started to offer expert services in 2002 and currently have been retained in over 400 cases. Although most of my cases are for the claimant I have sent back 24 cases with the conclusion that the broker had done nothing wrong. I am currently on the board of directors of Arts for Autism - Pittsburgh, a position I am proud to hold and I offer my services to Arbitration Clinic at the University of Miami Law School.